Opening the fridge to reach for that cup of yogurt or bowl of fruit only to find it has spoiled is incredibly frustrating. 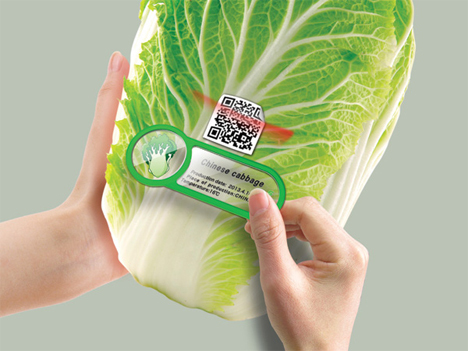 But since most of us can’t remember to either write a date on the packages or look at them once in a while to see if the food is going bad, designers Hu Yaxing, Chen Zhipeng, Liao Haibo, and Tang Yigang came up with the QR Code Fridge Magnet. 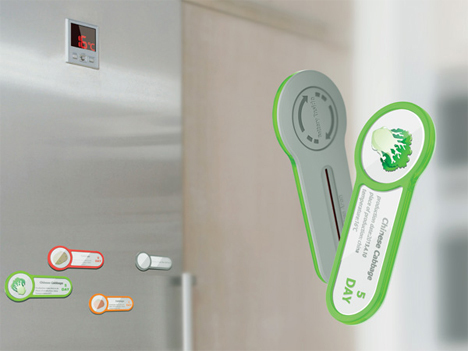 Each little magnet features a QR code reader built in. It can scan the QR codes on the food (it is unclear whether these are supposed to be there when you buy something or printed at home). Scanning the code will tell you the expiration date as well as the food’s origin and production date. 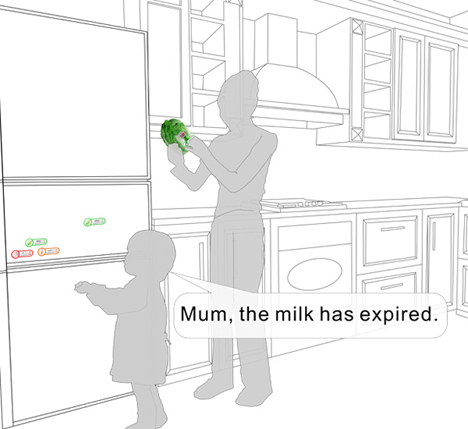 Once you’ve scanned the food, you can stick the reader right to the front of your fridge. As they days tick by, the color of the magnets changes. Green means something is still good to eat; orange means that the food is about to expire, and red means that it is spoiled and no one should eat it. The clever idea could cut down on the massive amounts of food that’s wasted every year. Additionally, the inventors think of it as a great learning tool for children to teach them the origins of foods. The design was a 2013 Red Dot concept winner.